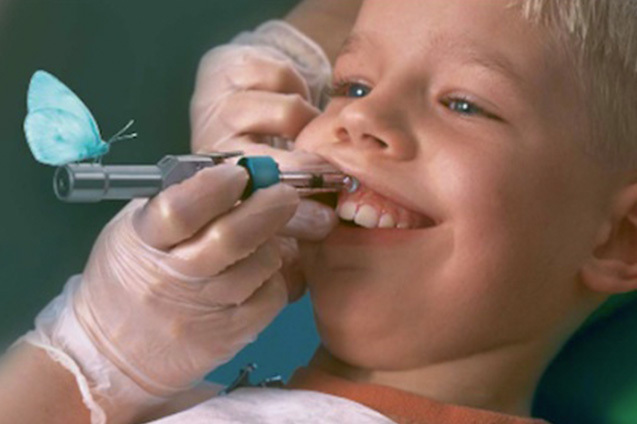 At Smile Place Dental, we offer a needle free dental option for treatments. Sufficient anaesthesia is achieve with comparably low doses. This is especially important with children who have a lower dose limit. The total required amount of local anaesthesia is even further reduced due to the extended effective window and the targeted anaesthetising of the individual tooth. This is especially important with children who have a lower dose limit. A shorter duration of soft tissue numbness is observed as a positive side effect, which pleases patients additionally. Small children are frequently less willing to cooperate with the dentist. This is where INJEX reduces the stress of administering a local anaesthetic. Eliminates risk of infection at injection site.